1. 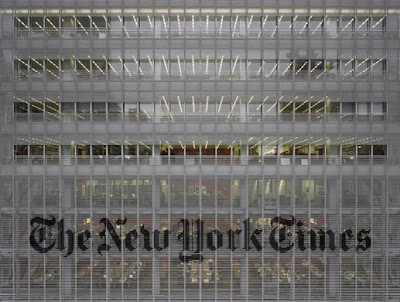 The New York Times has a department with the only task to analyze trends and details form the public statitistics. Other detail: the director, Bill Keller, works with the rest of the journalist, as the chief editors. Keller's office is actually really small, but he's always outside. This details make you understand a little better why this newspaper makes so good journalism. 2. Respect to infographics. Xocas (The New York Times) and Javier Zarracina (Boston Globe) explained how are the infograhics department treated on their respective newspaper: as any other section. It could sound as logical, but things don't work always that way. Adn, in this difficult times for media, Boston Globe, in a very hard situation, has kept its five members of the infographics department meanwhile the rest of the departments of the journal had many people fired. At NYT hirings are frozen. But infographics department has been the one and only department to hire people in the last years. 3. More organized, less visual. NY (and some other cities) uses numbers to name streets and avenues. This make much easier to find them, and it's very difficult to get lost. Just a liitle detail: as Manhattan's first settlements were on the south of the island, the numbers grow from south to north (and from east to west), just the opposite of how we read. In other hand, the traffic signals uses much more text than the european ones, where a very high percentage is iconic. 4. The success of Gotham. 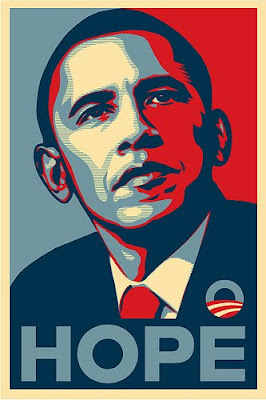 Fairey's Obama poster used Gotham typeface. Now you can see Gotham in many many many shops, posters or flyers. Don't if that has been always that way or just people has associated Gotham with success. 5. Fascinated by maps. Don't know if it's just my impression, or northamericans love maps. Public libraries have good collections of them, and looked like the most important pieces on them. There are lots of jobs in Gurgaon and Plenty of companies are hiring fresher and experienced professionals So rush to grab your job. Hi. Thanks for your observations, I've never thought about America in these terms. So even though I am from Canada and yes, I've been to New York, your article was quite informative for me.